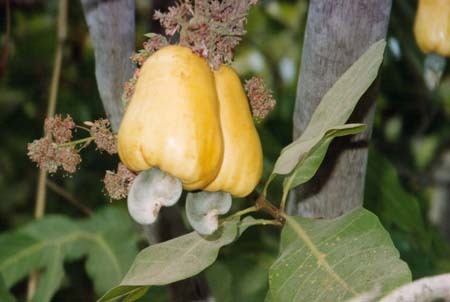 Cashew a native of Eastern Brazil introduced to India just as other commercial crops like rubber, coffee, tea etc. by the Portuguese nearly five centuries back. The first introduction of cashew in India was made in Goa from where it spread to other parts of the country. In the beginning it was mainly considered as a crop for afforestation and soil binding to check erosions. Due to the absence of high yielding varieties and multiplication techniques, indiscript seeds and seedlings were used for planting purposes. Because of its adaptive ability in wide range of agro climatic conditions it has become a crop of high economy and attained the status of an export oriented commodity bringing considerable foreign exchange to the country. India has a creditable record of attaining good amount of foreign exchange by way of export of cashew kernels. Among the agri-horticultural commodities getting exported from India, cashew ranks the 2nd position. During the year 2004-2005, India could export 1,26,667 MT of cashew kernels valued at Rs. 1,270 crores. USA, Netherlands, UK, Japan, UAE, France, Canada, Saudi Arabia, Singapore, Italy, German Fed. Republic, Austria, Israel and Spain are the major international buyers of Indian cashew. It is a small evergreen tree growing to 10-12 m tall, with a short, often irregularly-shaped trunk. The leaves are spirally arranged, leathery textured, elliptic to obovate, 4-22 cm long and 2-15 cm broad, with a smooth margin. 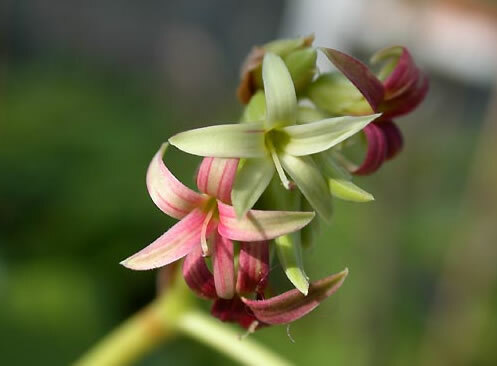 The flowers are produced in a panicle or corymb up to 26 cm long, each flower small, pale green at first then turning reddish, with five slender, acute petals 7-15 mm long. 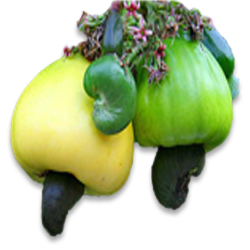 The true fruit of the cashew tree is a kidney or boxing-glove shaped drupe that grows at the end of the pseudofruit. Actually, the drupe develops first on the tree, and then the peduncle expands into the pseudofruit, which is an yellow and/or red structure about 5–11 cm long. Within the true fruit is a single seed, the cashew nut. 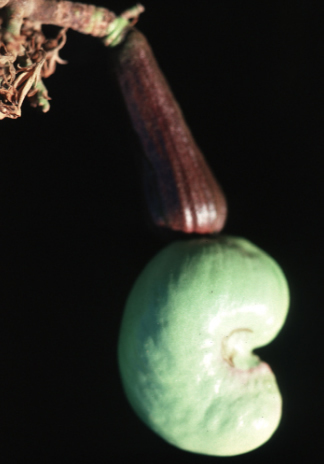 The seed is surrounded by a double shell containing a caustic phenolic resin, urushiol.